Ridington, Robin. "Subarctic Indigenous Peoples in Canada". The Canadian Encyclopedia, 16 October 2018, Historica Canada. https://www.thecanadianencyclopedia.ca/en/article/aboriginal-people-subarctic. Accessed 25 April 2019. The term “Subarctic peoples” describes a number of different and unique groups, including the Dene, Cree, Ojibwa, Atikamekw, Innu and Beothuk. The elaborate designs of this coat may reflect influences of European textiles (courtesy Pitt Rivers Museum, Oxford). When an animal put its head through the noose, it tripped the snare. The lower drawing shows how the skins were stretched over a form and scraped with a bone tool (artwork by Gordon Miller). 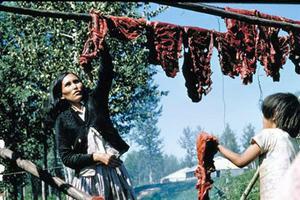 Daeda (Mary Davis) making drymeat, Doig River Reserve 1979 (courtesy of Ridington/Dane-zaa Digital Archive, Doig River First Nation Cultural Centre and Royal BC Museum). The belt loom was used by the Subarctic people for weaving. The tumpline across the forehead helped support heavy loads (artwork by Gordon Miller). 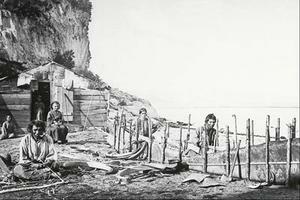 Constructing a birchbark canoe, in northern Québec, circa 1863 (photo attributed to Alexander Henderson, courtesy Library and Archives Canada/PA-148587). The Chipewyans followed the caribou each spring from the forests to the treeless barren lands (courtesy Lazare and Parker/National Wildlife Federation). Charlie Yahey with dreamer's drum, Blueberry River Reserve (courtesy of Royal BC Museum). The term “Subarctic peoples” describes a number of different and unique groups, including the Dene, Cree, Ojibwa, Atikamekw, Innu and Beothuk. The Subarctic region consists largely of a five million square kilometre zone of boreal forest extending from the arctic tundra south to the mountains, plains and deciduous forest in the mid-section of the country. West to east, it extends from the Bering Sea to Labrador. 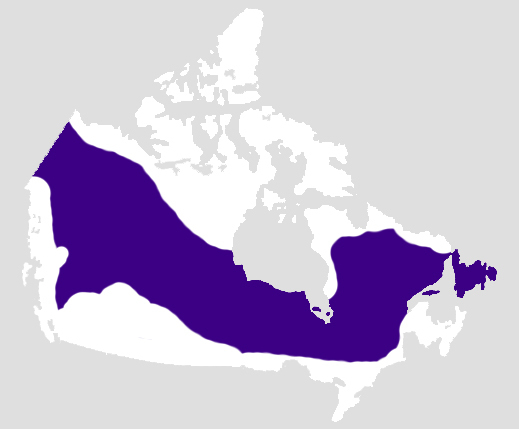 The Subarctic is one of six cultural areas contained in what is now Canada. Unlike provinces and countries, these cultural areas do not have strict boundaries, and instead refer to areas in more general terms. While parts of the 5 million km2 region extend into the Arctic, three-quarters of the area lies on the Canadian Shield, Hudson Bay and Mackenzie River lowlands. It is dotted with many lakes and crossed by innumerable rivers, and consists of western mountain ranges, plateaus and the Yukon River lowlands. Aboriginal peoples of the Subarctic used animals like moose, caribou, black bear, Dall sheep (northwestern mountains), beaver, hare, marmot and groundhog for materials and subsistence. Wolverine, otter, marten, mink, weasel, muskrat, lynx, wolf, coyote, fox and others, together with some of the subsistence species, provided furs for trade. Muskox, bison and wapiti were also available but less common. Fish are abundant in the rivers and lakes, and include several species of whitefish, pike, lake trout, grayling and suckers in the Arctic, salmon in the Pacific regions and, to a lesser extent, Atlantic regions. Migratory waterfowl pass through the Subarctic seasonally. Most peoples of the Eastern Subarctic belong to the Algonquian language family, while those of the Western Subarctic are generally part of the Athapaskan (also known as Dene) family. 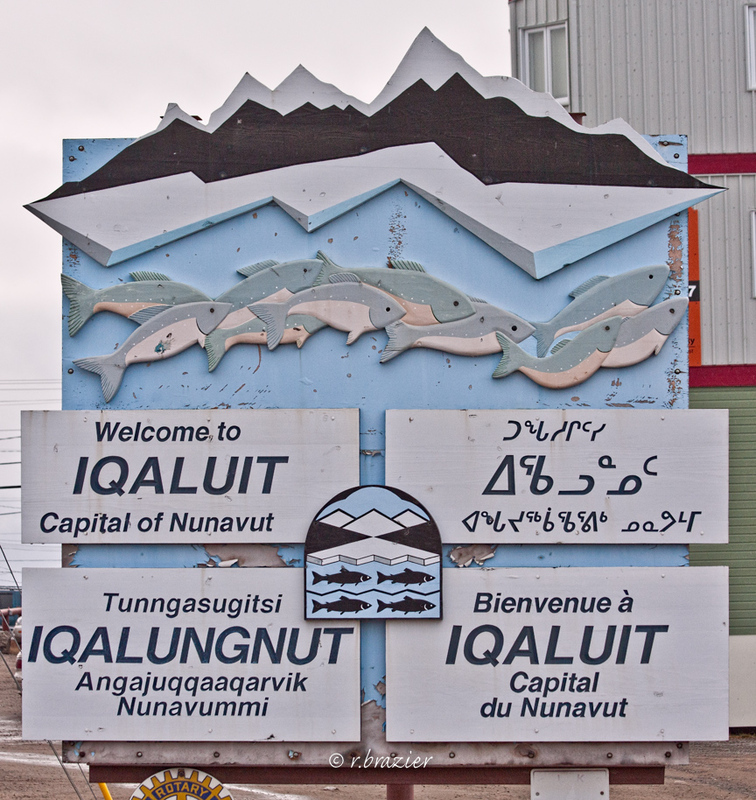 Northern Subarctic Algonquians, including the Atikamekw and Innu of Québec and Labrador, speak Cree dialects, and Algonquians to the south speak Ojibwa dialects. The Beothuk of Newfoundland spoke a language of uncertain affinity. Linguists have identified more than 20 different Northern Dene languages within the Western Subarctic, including Alaska (see Aboriginal People, Languages). Most Aboriginal people of the Subarctic were organized into bands or groups of people who spoke the same language dialect and were related by kinship and common traditions. Within each of the two major language families, neighbouring groups often shared similar ways of life. Perhaps because the Western Subarctic is physically more diverse than the east, there was more linguistic and cultural diversity among the Dene than the Algonquians. Dene, which means “people,” is commonly used to refer to Athapaskan speakers, as well as the Dene Nation. Dene groups in the Subarctic area include the Dene Nation (Tlicho, Chipewyan, Gwich’in, Dene Tha' & Dehcho, Sahtú), Tlingit, Tagish, Tahltan, Tutchone, Kaska, Han, Tsetsaut (extinct), Sekani, Dane-zaa and T'atsaot'ine, while Algonquian groups include the Ojibwa, Cree, Atikamekw, Innu and Beothuk (extinct). Aboriginal peoples of the Subarctic lived by hunting, fishing, trapping and gathering wild plants. Farming was not practical within their territory; crops successfully grown in the North today did not reach neighbouring areas until after European contact. 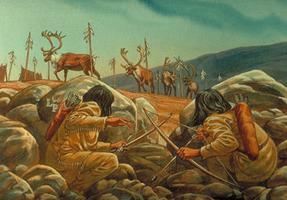 Men did most of the big-game hunting, while women snared hare, fished, cut and dried meat, and processed hides. Some hunting techniques such as drives that forced animals into temporary corrals would involve most adult members of a band. Hunting implements included bows, arrows, a variety of ingenious traps, snares, deadfalls, and such devices as the caribou drift fence and pound. People caught fish with dip and gill nets, traps, spears, and hook and line. They dried berries in the fall or stored them in baskets in pits in the ground. In the northwest, berries were often mixed with fat and fish, or were mixed with pounded dried meat and grease to make pemmican. Women were skilled in preparing meat for drying, hide tanning and sewing, making cooking and storage containers of skins, birchbark or coiled spruce root basketry, as well as fishnets from willow baste or babiche. Subarctic Aboriginal peoples typically lived in communities of 25-30 people. Each group moved frequently within a well-defined territory as game supplies changed from season to season and from year to year. A group's size and the nature of its annual economic cycle were strongly influenced by the availability of local resources. The Tutchone, Dene of the Yukon Plateau, and others west of the Rocky Mountains, gathered along rivers during the summer to catch and dry salmon. The Chipewyan and Dene living north of Lake Athabasca, moved to the edge of the barren grounds to follow the caribou herds. Innu spent their summers near the Atlantic, Gulf of St Lawrence or James Bay coasts and moved inland during the winter. The Dane-zaa hunted bison on the parkland adjacent to the Peace River and used controlled burning to maintain the animals’ habitat. A single band rarely had exclusive access to its territory since adjacent bands frequently shared hunting resources, especially if they faced food scarcity. Sharing resources rather than the accumulation of wealth was emphasized among individuals and communities because it provided collective insurance against shortages. However, rich sites such as lakes or rivers where fish could be taken regularly were usually exploited by the same band year after year. During the summer, when food was abundant, several local bands often resided together. Most Subarctic bands did not have formal chiefs before European contact. People aligned themselves with individuals who manifested leadership and took the responsibility for specific tasks such as trading, war or communal hunting. Aside from the prestige and respect this brought them, their authority did not generally extend beyond these tasks. European fur traders, however, attempted to establish chiefs and to endow them with considerable power, in order to have better control of the Aboriginal population associated with trading posts. Most adult men and women participated in decisions that affected the band. Families or individuals who did not agree with a particular decision were free to join another band or camp, or to act on their own for a time. Subarctic people were noted for the value they placed on personal autonomy as well as for the flexibility of their social organization. These characteristics helped them respond to the opportunities and limitations of their environment. Kinship ties among Subarctic peoples could be passed through the mother (matrilineal), father (patrilineal) or both (bilateral). Matrilineal kinship ties existed among Pacific coast region Dene, bilateral ties were characteristic of the people of the Mackenzie River region, and both bilateral and patrilineal bonds united the Algonquian speakers. Normally, people who had regular contact used kinship terms, in part structured according to generation (e.g., the eldest people become grandfather or grandmother), to address and refer to one another. Kinship relations often determined membership in groups and regulated marriages. In addition, groups west of the Mackenzie River were organized into clans, and also in some cases by dual divisions (moieties) similar to those of West Coast Nations. These divisions served primarily to ensure hospitality and protection to clan members who might be visiting from other camps or bands, to fulfil certain ceremonial obligations (e.g., cremation and/or burial of the dead and reciprocal feasts) and to regulate marriage through a requirement to marry outside of the clan. 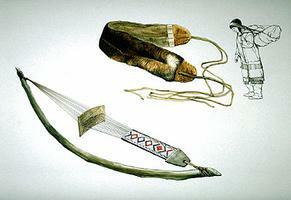 Since subsistence necessitated mobility, Aboriginal peoples of the Subarctic had limited material possessions. They travelled lightly and preferred to make heavier tools and implements as they were needed rather than carry them from place to place. Success in hunting depended on accurate knowledge of animal behaviour. They taught children to be self-reliant, observant and resourceful and were expected to learn the habits of game animals and to find their way through large areas of difficult terrain. They learned these skills by listening to long hours of practical narrative accounts and mythological tales and by rehearsing special trapping and hunting songs and innumerable riddles. Among many groups, both boys and girls were sent on vision quests to obtain power from animal helpers or the spirits of natural places. Individuals who were successful hunters were acknowledged to have gained the respect and trust of the animals. People of the northern forests made summer moccasins, leggings, shirts and coats of soft tanned hides — prepared by treating the fresh hide with the animal’s brains before scraping off the hair. Unique among the Pacific drainage Dene was the short V-tailed summer slipover caribou skin tunic, highly ornamented with dyed porcupine quills, dentalia (animal teeth) and beads made from seeds (later glass, trade beads). This shirt was sometimes worn with leggings and with moccasins attached. More generally, Subarctic Aboriginal peoples wore relatively light clothing and built fires whenever they stopped. Winter sleeping robes were made of rabbit skins cut into strips, twisted and woven together. Men made snowshoes, toboggans, canoes, sleds and hunting implements. Survival depended on being able to travel long distances. Snowshoes were essential for winter travel. 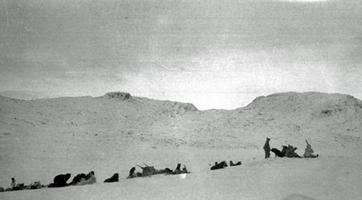 Heavy loads were transported on toboggans and, in the far northwest, sleds were pulled both by dogs and people. During the summer, people travelled with their belongings in canoes on rivers and lakes. Because of their mobile existence, northern forest peoples built shelters constructed of easily transported skin covers and of locally available materials such as bark. Dwellings varied considerably depending on local materials and traditions, but in all areas they were designed to be heated and lit by a single fire. They did not usually accommodate more than two families. 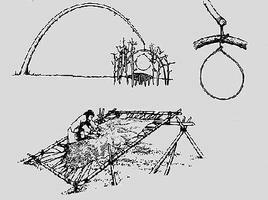 Among the northern Ojibwa, dwellings were ridge pole or conical lodges also covered with birchbark. 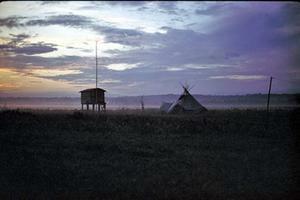 Wigwams were common among Algonquian peoples. Many of the Arctic drainage Dene lived in conical shelters covered with hides, similar to the tipi, which was the typical dwelling of Plains people. Among the Gwich'in and Han of the Yukon, as well as in northern Alaska, the conical tent was replaced by a domed or hemispherical one. Double lean-to structures covered with hides and brush were also used in the Arctic (Mackenzie) region and the northwestern mountain and plateau regions. At fishing camps in the Cordillera there were unchinked "smokehouses" that resembled roughly-built log cabins. To provide added warmth in winter dwellings, the hair was left on the hide coverings of conical and domed tents which, although bulky, were nevertheless portable. Some Dene of the Mackenzie District and Cordillera as well as eastern Subarctic peoples wintered in conical log structures chinked with moss and partially covered with dirt and snow. 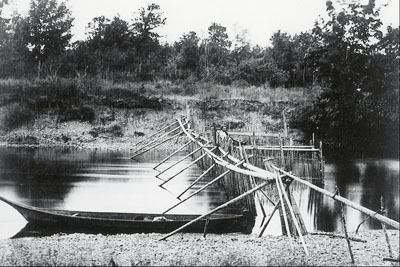 The Han near Dawson, as well as many Alaskan groups, built rectangular pit houses that were heavily banked with turf to withstand the cold, while far to the south in British Columbia, groups such as the Tsilhqot'in made pit houses similar to those used by the peoples of the Plateau. Considerable effort was taken to cache food and equipment not needed for the season; specially prepared pits, strong cribbed and conical structures, cairns, or racks and platforms in trees were used for storage. Myths and legends described a time when animals had great power and could assume human form. Many Subarctic peoples told stories about a "culture hero," the first person to gain special powers. For them, power and knowledge were one, and a powerful individual was one who "knows something." The culture hero demonstrated the personal knowledge and self-reliance recognized as important survival skills, and could outwit individuals with knowledge of evil medicine. They also possessed the ability to overcome dangerous animals, and thus made the world a safer place in which humans could live. The Algonquian culture hero and trickster figures are known as Nanabozho and Wisakedjak. The Dene culture hero goes by many names but is often associated with migratory water birds and the sun, both of whom are seen to fly through the heavens. Beliefs about the interdependence of people and nature embodied in myth helped Subarctic Aboriginal peoples interpret their environment. Spiritual leaders were people who used their powers for the benefit of others, though to some people they sometimes used their power for evil. Among many Algonquians, these shamans, or medicine people, conducted the Shaking Tent ceremony in which distant spirits of people or animals were conjured for curing and prophecy in a special tipi. Elsewhere, shamans performed under a blanket or dressed in a special manner, signifying their importance within the native community. Western Dene medicine men and women charged high prices for their services and asserted prerogatives or took liberties among their people, meaning many of them were feared as well as respected. Among the Innu, certain men and women predicted hunting trails by scapulamancy, a form of divination which interpreted the pattern of cracks on a caribou shoulder blade heated by fire. The Dane-zaa of the Peace River region in the West had prophets called Dreamers - people who had experienced death and flown like swans to a spirit land beyond the sky. They were healers and leaders in religious dances based on songs they brought back from their journeys to heaven. Like many other Subarctic peoples, they sang to the accompaniment of single-headed hand drums. Most people, however, had some degree of medicine power obtained from childhood vision quests. In addition, there was a body of beliefs and practices, taboos, prescriptions and minor rituals separate from shamanism, divination and curing. Among these customs were the special observances made prior to, and after killing animals. Contact with Europeans brought intense and irrevocable change to Aboriginal peoples of the Subarctic. Many quickly became dependent on the fur trade for goods like guns, knives, axes, cooking pots and clothing. Eventually they became dependant on trade for food, as they had turned from harvesting animals for food and skins to trapping those species desired by European markets. Bands moved closer to trading posts, and traders worked to exert control over the Aboriginal peoples. Trading chiefs who negotiated with the Europeans became as important as the earlier hunting leaders. The fur trade had considerable impact on Subarctic ecology. Many species of game and fur-bearing animals became depleted. European diseases such as smallpox, tuberculosis, measles and influenza killed large numbers of Aboriginal peoples (see Aboriginal People, Health). Others died of starvation during periods of disease and game scarcity. Early contact during the 17th century caused extensive migration of Subarctic peoples, namely with groups such as the Cree, and brought new and diverse intertribal relationships. The 19th century was characterized by direct contact between Aboriginal peoples and Europeans engaged in the fur trade. Different bands experienced the effects of contact with greater or lesser consequences. In Newfoundland, loss of habitat and killing by Europeans led to the complete extinction of the Beothuk by 1829. By contrast, the neighbouring Innu developed a trapping economy and systematic trade relations with Europeans. They initially successfully adapted to contact conditions because Europeans required furs and did not immediately claim Innu hunting territories. Later, the federal government forcibly relocated Innu into permanent settlements in an effort to assimilate them into the global wage economy, often with disastrous social consequences. 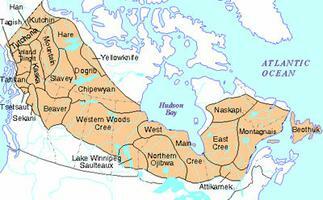 Other Aboriginal groups such as the Cree became fur-trade middlemen between the Hudson's Bay Company (HBC) and Dene to the west. Following Alexander Mackenzie's voyages of exploration along the Peace and Mackenzie rivers beginning in 1789, the rival North West Company (NWC) established trading posts that gave traders direct contact with the Dene. In 1821, these posts were taken over by the HBC, which became an important influence in the area. European missionaries and forced participation in the assimilative, destructive, and often abusive residential school program led many Subarctic Aboriginal peoples to adopt elements of Christianity while also retaining many of their own spiritual traditions, sometimes blending the two. Large-scale resource development and settlement of the North have threatened the traditional Aboriginal economy of trapping and subsistence hunting. In 1975, the Grand Council of the Cree signed the James Bay and Northern Québec Agreement accepting compensation for social and ecological impacts of the James Bay Hydroelectric Project (see James Bay and Northern Québec Agreement). Many people continue to hunt and trap on their land, using government entitlements to subsidize the cost of modern transportation and communication systems. Oil and gas exploration has caused dramatic environmental impacts in the Peace River areas of British Columbia and Alberta. The massive development of the tar sands in the Fort McMurray region has caused even greater impact to the Cree of northern Alberta. Some First Nations have received benefits in the form of jobs and compensation from developers, but environmental changes have severely impacted traditional hunting, fishing and trapping activities, which in turn have resulted in protests and a tense political climate. For example, the Mikisew Cree First Nation and Athabasca Chipewyan First Nation, both based in Fort Chipewyan, Alberta, have advocated against oil sands development, arguing it infringes upon Aboriginal rights and damages the environment. Western SubarcticSee selected objects collected from Western Subarctic Aboriginal communities. Check the menu at the left for information on additional regions. From the Canadian Museum of History. 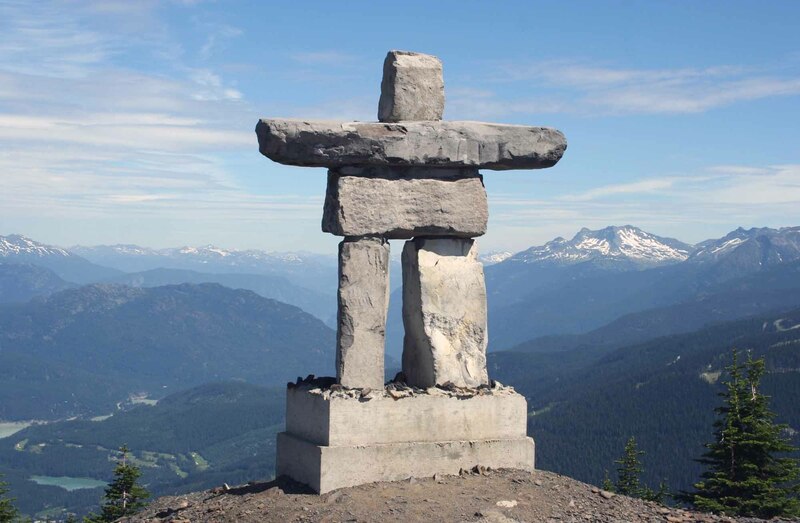 Comprehensive Land Claim and Self-Government Negotiation TablesSee a listing of the status of Land Claim and Self-Government Agreements with Aboriginal groups and provincial/territorial governments across Canada. From Aboriginal Affairs and Northern Development Canada. Inuit Contact and ColonializationAn interactive website that is an exploration of takurngaqtaq (initial contact) between Inuit and First Nations, Whalers, Explorers and Traders. Tables de négociationTables de négociation sur l’autonomie gouvernementale et des revendications territoriales globales par le site Web d’Affaires autochtones et Développement du Nord Canada. Contact et colonisation de InuitSite Web interactif sur les Inuits. Denesuliné (Dene)An illustrated history of the Denesuliné (Dene) in Northern Saskatchewan. A University of Saskatchewan website. The BeothukA brief history of the Beothuk people, Algonkian-speaking hunter-gatherers who resided on the island of Newfoundland. From the Newfoundland and Labrador Heritage website. Canada’s First PeoplesAn illustrated student guide to the history of First Nations peoples across Canada. From the Government of the Northwest Territories. Le Concours canadien de rédaction pour AutochtonesSite Web du Concours canadien de rédaction pour Autochtones. Par Historica Canada. Canadian Aboriginal Writing and Arts ChallengeThe website for the Canadian Aboriginal Writing and Arts Challenge, which features Canada's largest essay writing competition for Aboriginal youth (ages 14-29) and a companion program in the fine arts. See their guidelines, teacher resources, profiles of winners, and more. From Historica Canada. Subarctique de l'OuestVoir les images d'articles issus des communautés autochtones dans la région subarctique. Du Musée canadien de l'Histoire.